The Supreme Court has held that the High Court has no jurisdiction to appreciate the evidence of the proceedings under section 482 Cr.P.C. 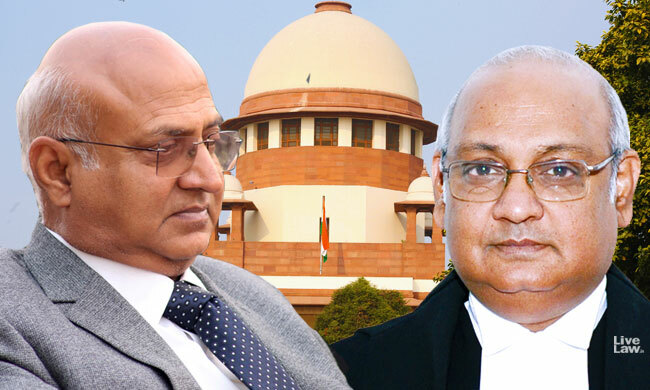 The division bench of the Supreme Court Comprising of Justice Abhay Manohar Sapre and Justice Dinesh Maheshwari held so while allowing an appeal in a case (Md. Allauddin Khan v. State of Bihar) against the order of the High Court of Judicature of Patna, quashing the order of Magistrate wherein cognizance of complaint was taken for commission of offence under sections 323 and 379 r/w section 34 of IPC. The bench observed that the High Court erred in not examining the case to find out whether the allegations in the complaint prima facie make out offences contemplated under sections 323 and 379 r/w section 34 of IPC. The court also opined that though the High Court has referred to the law laid down in State of Haryana & Ors v. Bhajan Lal & Ors, it has miserly failed to follow the principle laid down therein. Further, the court observed that the High Court erred in relying on the contradictions of the statements of the witnesses on the point of occurrence. "In our view, the High Court had no jurisdiction to appreciate the evidence of the proceedings under Section 482 of the Code Of Criminal Procedure, 973 because whether there are contradictions or/and inconsistencies in the statements of the witnesses is essentially an issue relating to appreciation of evidence and the same can be gone into by the Judicial Magistrate during trial when the entire evidence is adduced by the parties. That stage is yet to come in this case"
The bench while allowing the appeal and restoring the order of the Judicial Magistrate to proceed to conclude the trial on merits reiterated that contradictions or inconsistencies in the statements of witnesses is essentially an issue relating to the appreciation of evidence and the same can only be gone into by the Judicial Magistrate during the trial when the entire evidence is adduced by the parties.